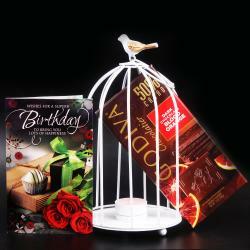 Product Consists : Dome Shaped Metal Yellow Cage (Length: 22.86 Cm, Width :12.7) with A TeaLight Candle and 200 Gms Imported Chocolate along with One Happy Birthday Ballon. Gift this lovely hamper to your dear ones in India through Gift Across India. 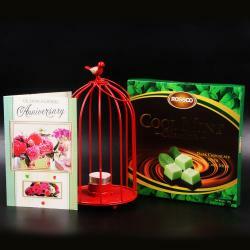 This is one of those hampers which can truly surprise your loved ones. You can never go wrong with a perfect gift hamper. Gifts are making everyone happy and exiting. 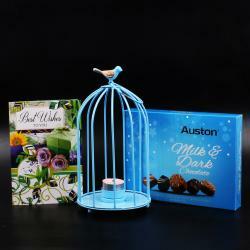 Here we bring you the best gift hamper which includes Cage, Lavista Chocolate and Birthday Ballon with a small Tealight Candle. 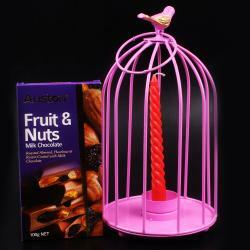 The cage is a structure of confining birds or animals, but now a day its used for decorative purpose. Our collection of Cages is special created with grating of very beautiful colored metal bars and they are come in different shapes. 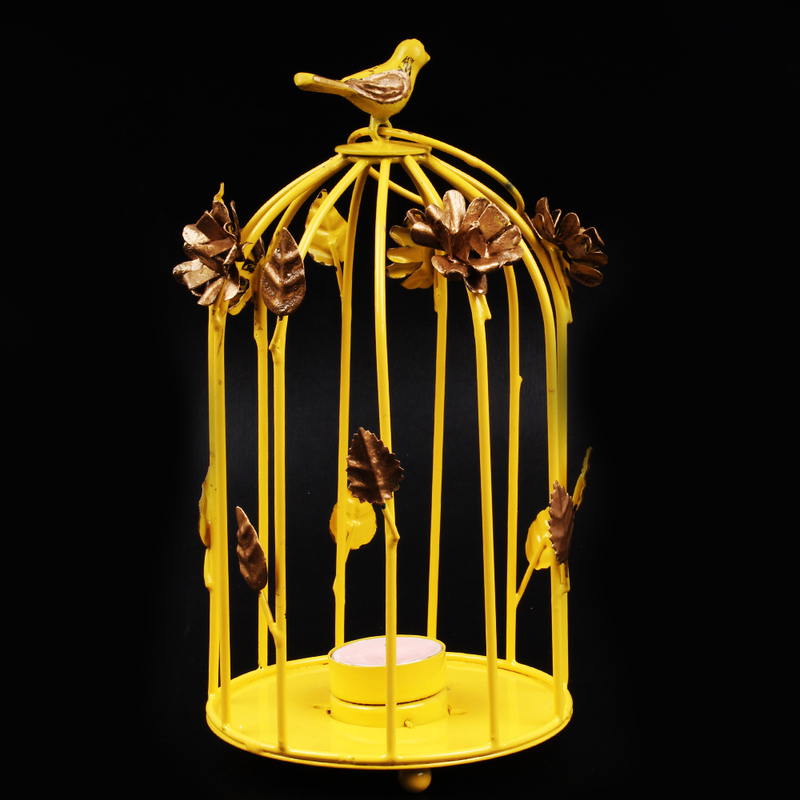 This cage comes in lovely Dom shape of Yellow color which is decorated with floral and leaves design on it. 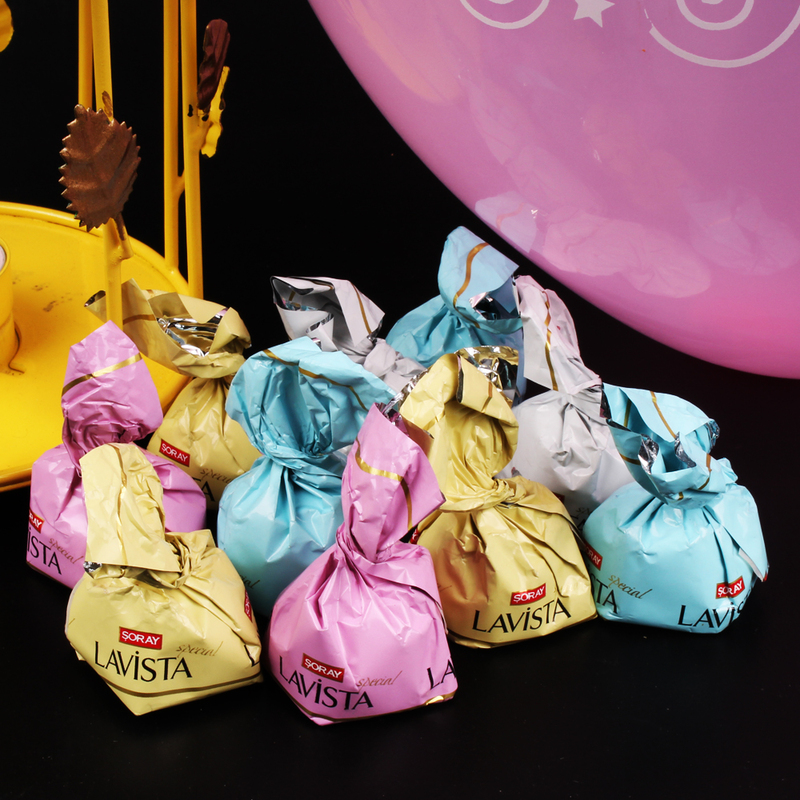 Lavista Chocolate is one of the lovely and delicious chocolate along with Birthday ballon and tealight candle. 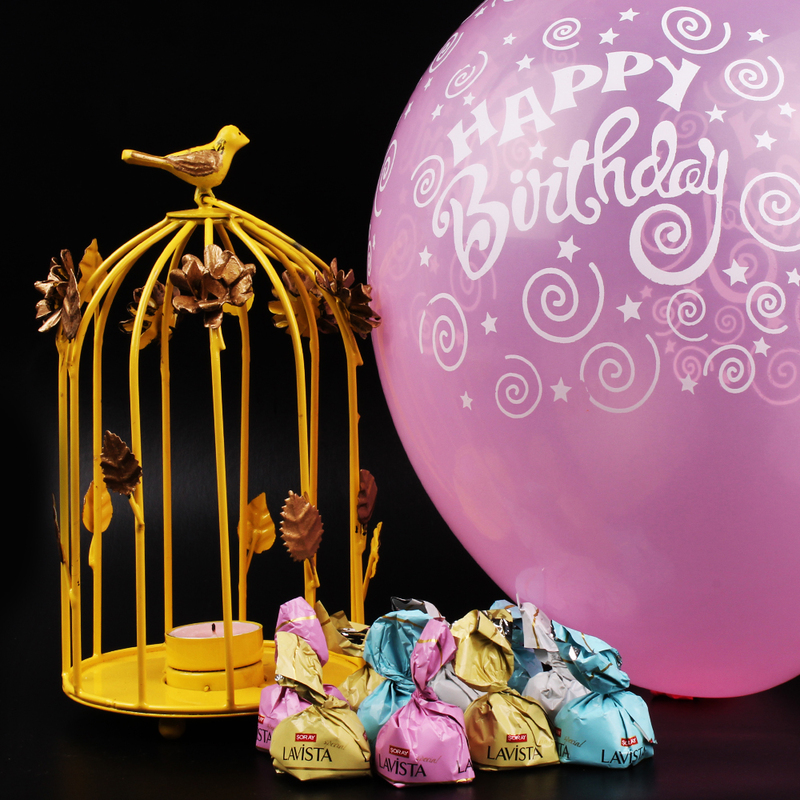 Product Consists : Dome Shaped Metal Yellow Cage (Length: 22.86 Cm, Width :12.7) with A TeaLight Candle and 200 Gms Imported Chocolate along with One Happy Birthday Ballon.